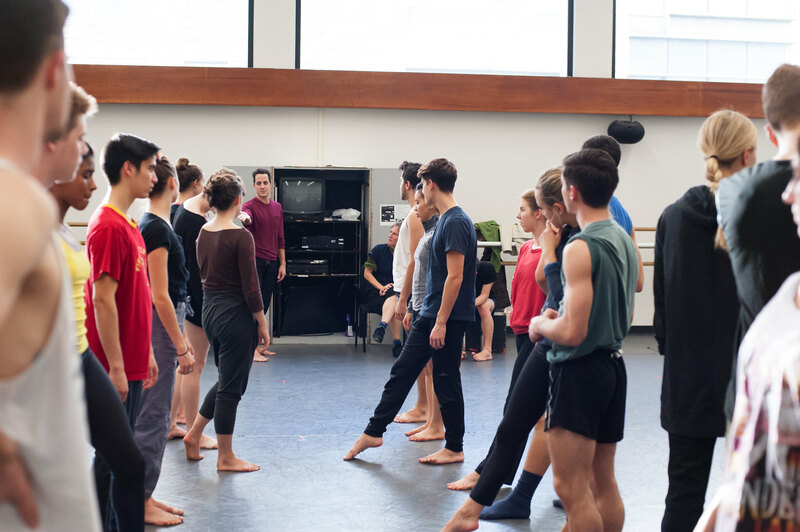 I'm thrilled to be working with Juilliard, under the direction of Lawrence Rhodes, to create a new piece for the Dance Division's 3rd year students this Fall. Click here for details on your two opportunities to see the new work: November 16-17 or December 10-14. I'm in great company. 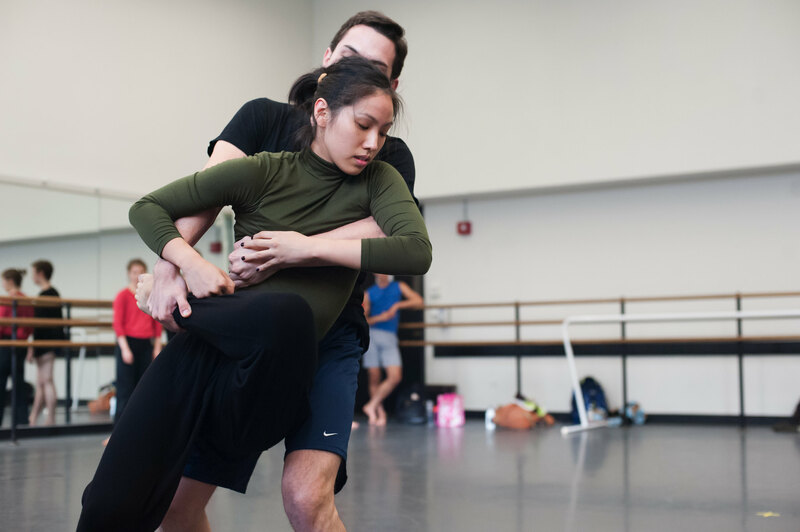 The Dance Division's New Dances: Edition 2014 also features world premieres by choreographers Larry Keigwin, Loni Landon and Austin McCormick. I'm working with a large group (23 dancers!) so I’m imagining the contrast of macro and micro worlds - what reads en masse versus what can be communicated by one or two unique dancers. I have 12 women and 11 men and I’m also excited to see what I can do with that balance/imbalance of energy. Gender always fascinates me - and the ways we do and don’t naturally fit its confines. The notion of tribe is a challenge as I always long to learn about the specific people I see onstage instead of generalizing them. I wonder if I can extrapolate the essential nature of my work - the fluid and immediate dynamics that rise up in relationship - to broader group behavior without a loss of immediacy? I've been listening to Heinrich Ignaz Franz Biber's "Passagalia for unaccompanied violin” from the Rosary Sonatas played by the English violinist Andrew Manze. It’s spare and single-voiced yet spans huge emotional territory. It has exquisite religious intonations, of course, and yet it also sounds to me like an individual is thinking or feeling out loud in a viscerally authentic way. 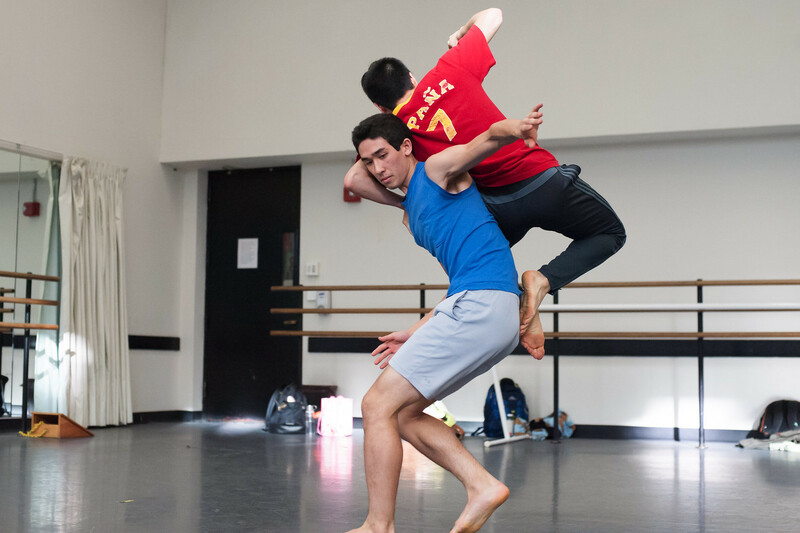 I’m deep in early process, assisted by longtime KWCo member Douglas Gillespie, and we’re excited to see where we can travel with these talented young dancers. You have two opportunities to see what we make! 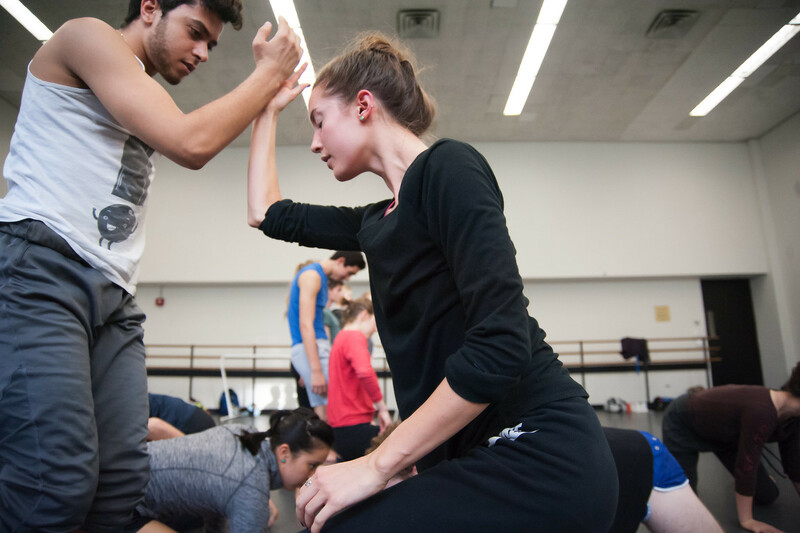 Join us for excerpts and a creative discussion at Works & Process at the Guggenheim, November 16-17 or watch our full performance in the Juilliard Dance Division's New Dances: Edition 2014, December 10-14. You can buy tickets for either event by visiting our calendar here. I hope to see you soon!